It was the late 1950s, and a young Thom Guthrie was watching Holiday Inn starring Bing Crosby and Fred Astaire. Toward the end of the film, there is a scene where the camera pulls back, exposing the set. Stagehands are moving props around, and it shows just how a set is created. "I decided right then that's what I wanted to do," said Guthrie. "I wanted to make that kind of magic. And I pursued it for the rest of my life." Guthrie has now been working in professional theatre for 44 years, with 14 of them being at the University of Houston, where he is designer and house manager of the Moores Opera Center. "I love my job, I love working for the University — I love everything about it," he said. And because of this "life-altering job," Guthrie is leaving two separate endowments to the University of Houston in his will — one in honor of his mother, the Kathleen Childress Guthrie Harrison Endowment that will support the opera house, and the other to support the Moores School of Music and its operation. "That's the bottom line. I cannot sleep at night if I think for one minute that what we have created will just go away. It's been too important to me; and money is what keeps things working...Because I don't have children of my own, it's important to me to leave behind a legacy that will continue to make music better." Though he is nearing retirement and has yet to decide what his final chapter will be, he hopes it will take him back to his roots. "I'm a designer, and I'd really love to be able to just do a design every now and then when I decide I want to." Guthrie started as an apprentice at what was then the Houston Music Theatre — now the Arena Theatre in the Sharpstown area of Houston — three weeks before he graduated high school. There he learned all aspects of theatre, although he already had a great deal of background in it. His mother was an opera singer. "I was raised backstage at the old Houston Grand Opera," he said. "It began a lifelong love of music in general, and being backstage and seeing how the scenery works." 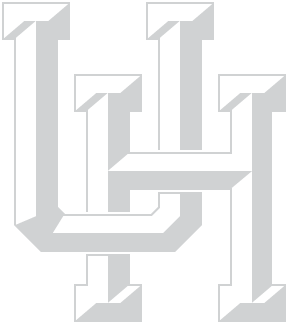 Guthrie attended the University of Houston for a short time, but received his formal design training from Banff School of Fine Arts in Canada. It was four months of intensive classes, and the faculty was all European and North American designers who would fly in and teach a course in their specialty. Guthrie then took his talents to California, but he soon realized that if he wanted to do live stage, he was in the wrong place. "When you're in California you do television, you do motion pictures, very little live stage, which I didn't really realize when I was out there," he said. So in 1987, he packed up his car and moved back to Houston. He then spread the word he was back in town and it didn't take long for him to find a job. After working in the field for 10 more years in Houston, Guthrie heard about an opening at the Moores School of Music for the position of theatre manager. In July 1997, he was offered the job and took it without hesitation. "It was the kind of job I always wanted," he said. "For the first time I was getting to work in a theatre that was built as a theatre and not built as something else and converted to a theatre." Guthrie was the first to be in that particular position, giving him the opportunity to set everything up and mold it to his liking. And he hasn't slowed down since. "It's amazing the opera house runs with the small staff it does, but we somehow keep this going. (We) all work with this one single focus to make the production successful and that's why we do what we do. And that's why I'm leaving my estate to the Moores School of Music." Guthrie credits the University of Houston administration for placing a high priority on the arts as a way of exposing the University to the community and beyond, but realizes that in tough financial times, there is not much money to preserve the opera house. "We have, in the Moores Opera House, one of the greatest treasures inside this city, inside this state, inside this country," Guthrie said. "It was a gift to the University, and now it's our responsibility to make sure it's taken care of, preserved and that it continues to operate at the level it was designed to." Although his retirement date has yet to be set in stone, Guthrie beams when he looks back on his many years working for the Moores Opera House and doesn't "regret a single minute of it." "I think that God's purpose for me was to do exactly what I do, to design for an opera company like the Moores Opera Center so that those kids feel like they're on the Metropolitan Opera stage. (This job) has changed my life."